How to write good content for your website? To be more precise, your content must be relevant, digestible, interesting and memorable, identifiable by the search engines. And they must be kept up to date. And if your content is good, why reserve your talent to your website? When you write a text, strive to think like your readers. Address your visitors, your customers. Use specific terms. Go straight to the point in your texts and descriptions. What works best is necessarily short. Avoid any entrepreneurial jargon, talk like your customers would. Otherwise, they may never come to your site. And if they succeed in falling on them, they will not understand much of it, and will go to other heavens. People do not read websites, they scan the screen until something catches their attention. If there is too much text to inspect, or if they do not find anything they expected, they move on to something else. Split your texts. Make short sentences and small paragraphs. Choose your titles carefully. Do not say too much, or too little, it is the rule. And give care to the language you use, it’s important: If your site is for children, say “How to make paper flowers”, if it is addressed to specialists say: “Model for Origami: Pink “. Use illustrations. A picture is worth a thousand words. If possible, replace some paragraphs with a photo or video. Approximately 40-50% of visits to a well-organized website are attributable to search engines. The other half of the traffic consists of direct visits, for example if your site has been bookmarked by your visitors, or if a third party site makes a link to yours. It is therefore crucial for any site to properly appear in the search engines, and be attractive enough to be recommended on other sites. Search engines are quite disappointing in terms of indexing videos, audio, photo. So you have to look after the textual content of your site, which Google will display in its results. You should include carefully selected keywords in your texts, which will be used as search terms and will channel the interest of your potential visitors. Rich and relevant texts in the eyes of your potential customers, will also be for the search engines. And then write interesting content, so that people want to create links to your site. These two axes are formidably strategic if you want to promote your site and your activity. Stimulate your visitors with your content, make them want to come back – Content should not only be interesting, but it should also be kept up to date. With a good blog, a section devoted to your products that is constantly evolving, links to consumer opinions, etc. Your site must stay alive. You must give the impression that someone passionate animates your site permanently. The freshness of the contents of a site conditions its placement in the search engines. This entry was posted in Search Engine Optimization, Web development and tagged How does Google Glass work?, internet marketing mauritius, LInk Building, Offsite SEO, online marketing, online marketing mauritius, Search Engine Optimization. SEO strategies, social media mauritius, web companies, Web company in Mauritius on August 13, 2017 by admin. SEO Mauritius: How to get position 0 on Google? First, you need to know exactly what position 0 is. This Google content is called Answer Box or Featured snippet. The Answer Box, as its name suggests, is an excerpt of a website’s content presented in a box that precedes natural results. This famous position 0 may include several types of information. Generally speaking, the extract from the site will normally serve to answer a question of the Internet user. 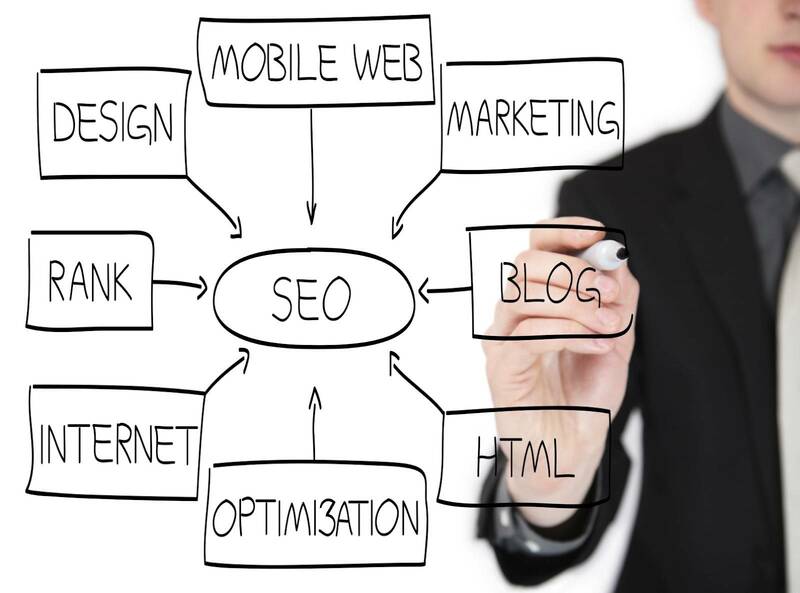 It gives a lot of visibility and credibility to the website and is therefore very popular with SEOs. It is true that an important part of the Answer Box of position 0 contains information from Wikipedia. However, it is also possible for small sites to appear there. Not all results pages have an Answer Box in position 0. So, you must first identify the opportunities. Perform tests with your keywords to find Answer Boxes in which you might appear. Formulate questions in your queries that can help find them. Also pay attention to Google’s suggestions. When you have found the question you want to answer, make sure to put it in your text and create content that responds explicitly. So, if your question is “What is X …” Content should include “X is …”. Google’s understanding of a text is quite limited. Formulate your answer in a simple sentence with obvious subject, verb and complement. The key to getting position 0 is a good structure. The elements of your page must be optimized for the query in question. The structure will help Google understand the content of the page and use it at the right time. The right format to use will depend on Google and its “expectations” regarding the query. Thus, if the query seems to indicate that the user is trying to understand how to do something, a list will surely be prioritized. If the person is looking for a number or a statistic, the table may be preferred. The analysis of the current Answer Box can help determine what type of Google format searches. Also make sure to use your titles well. The title of your page should include your keywords. Also make sure that this is the case in your h1 and h2. It is noted that Google will generally seek its position 0 among the top 10 positions of its results. So, you must also have some weight for the SEO. It is only natural that Google should act this way, since position 0 must be assumed by a trusted source. Google uses its ranking signals to achieve this. Position 1 does not, however, provide access to position 0. Referencing is only one of the signals used to “select” the content of position 0. This entry was posted in Search Engine Optimization and tagged Onsite SEO, Search Engine Optimization: How to, Search Engine Optimization. SEO strategies, SEO mauritius, social media mauritius on March 22, 2017 by admin.